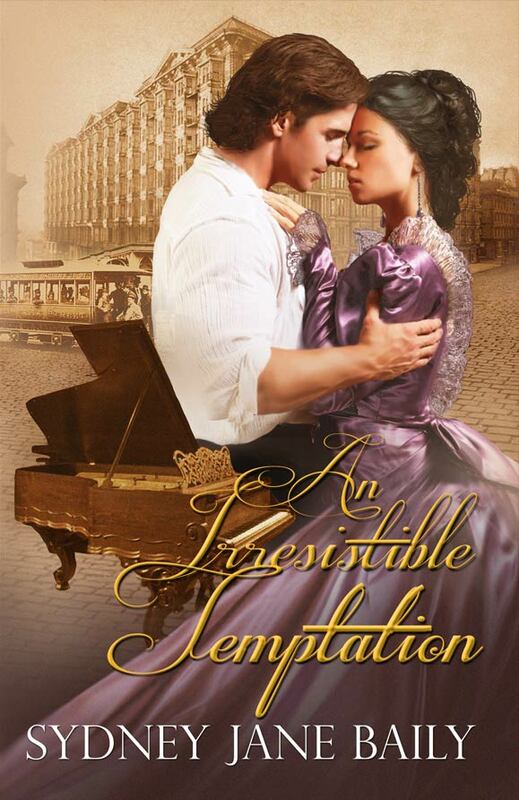 Today I’m welcoming Sydney Jane Baily, author of An Improper Situation and An Irresistible Temptation, two historical romances set in America. Thank you for stopping by, Sydney! Born and raised in southern California, Sydney Jane Baily completed her first novel at the tender age of 17. Thankfully, that manuscript was soundly rejected and currently resides in an undisclosed secure location. She went on to get degrees in English literature and history (inducted into Phi Beta Kappa’s alpha chapter), and has spent her entire professional career in publishing. She has been a copy editor, cat snuggler, proof reader, production editor, mother of two, developmental editor, indexer, dog mom, among other things literary and not. Besides writing historical romances, she also writes contemporary women’s fiction. 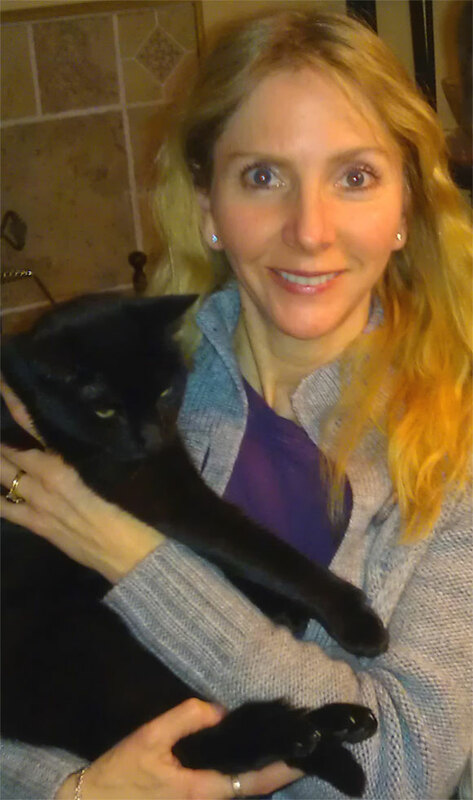 She resides in New England with her family–human, feline, and canine. Usually, when I can’t write, that’s when I most want to. Nothing inspires me like lack of time. When my paying jobs as a copyeditor or a website developer get busy, that’s when I am most eager to click on my cleverly titled folder “Fiction” and write. I’ll get cranky, downright irritable and, at night, instead of sleeping, I’ll work on scenes in my head that I will eventually write, if I remember them by morning. Also, song lyrics inspire me. They set a scene and I imagine the rest of the story. I usually only listen to music while driving because I can’t have the distraction of music with words while editing or writing. Classical or other instrumental music is a different matter. For the novel I just finished, An Irresistible Temptation, I had classical music on in the background because the heroine is a concert pianist. It made me feel as though she was right there with me. It’s the sequel to my first historical romance, An Improper Situation, which came out in October of 2012 and features Reed Malloy and Charlotte Sanborn. Sometime toward the end of writing it, I started forming the story of Reed’s middle sister, Sophie. Charlotte lived in fictional Spring City, CO, at the beginning of Improper Situation, but leaves halfway through the novel for the east coast. Having Sophie Malloy from urban Boston, MA, head out west to Spring City in the sequel, An Irresistible Temptation, to gather up some of Charlotte’s personal effects allowed me to further explore small-town life in the 1880s. But Sophie has big dreams, so the story takes her to the west coast, and goldrush-fueled, big-city San Francisco with her hero, Riley Dalcourt. I wish I were an outliner, working out everything ahead of time. However, my writing style is more organic, so I think I’m a “pantster.” Perhaps, I’m a little of both. I have notebooks and sheets of paper all over my desk, and, if I get stuck, I try outlining chapter by chapter, sometimes with just a sentence to tell me what happens in that chapter. I may not write this abbreviated outline until I’m in medias res, but if create it, it helps me to see if my story works from beginning to end, including an interesting beginning, a good build up, a story arc that starts to move faster to an epiphany or climax, and then a satisfying ending. Ultimately, as I’m sure many writers experience, sometimes the characters surprise me and have their own (better) idea of where the story is going. And, of course, I need a good writer friend to tell me that no matter how in love I am with a sentence, a paragraph, or even a chapter, sometimes it has to be cut for the good of the whole book. That I always have an animal either on my desk or lap (cat), as I do right now, or under it (dog). Or both. I guess that might be more their quirk than mine. But I would find it odd to write without a furry companion. Easy question: my highest goal is to make the reader feel genuine emotions for my fictional characters and to provide a satisfying story. I know when I love a book, especially a romance, that book has moved me, perhaps making me feel a lump of sadness in my throat for the hero or heroine at the appropriate time, as well as joy, with the imaginary music swelling in the background, when things are working out for them. Also, I like a story that doesn’t end too abruptly, because if your reader has come to care for your characters, they like to see beyond the moment of riding off into the sunset. I try not to have the curtain come down too soon. Thaddeus is Charlotte’s younger brother, and he has a small part in An Improper Situation. He’s been demanding his own story and keeps showing me the beginning, as he hops a train in the middle of the country and in that freight car, man alive, he meets his long-lost love. She’s also been in the first two books and really comes into her own in the third book. I can’t wait to begin it. With her chestnut hair and striking green eyes, Charlotte should be the catch of Spring City, Colorado. But she wears her independence like an impenetrable suit of armor and cloaks her identity behind her famed writing nom de plume of Charles Sanborn. She’s a 24-year-old confirmed spinster who won’t risk heartbreak, until a handsome stranger awakens her yearning both for companionship and for indulgent pleasure. Boston lawyer Reed Malloy has a solemn mission — to deliver two orphaned children to their Colorado cousin. He’s not prepared for Charlotte being utterly innocent and yet irresistibly beguiling, or for her brewing resentment and flat-out refusal to raise her kin. It will take some firsthand persuasion if he is to complete his legal duty and, perhaps, resolve more tantalizing issues. When Charlotte forsakes everything familiar — and two thousand miles of America’s heartland no longer separate her from Reed — unforeseen influences conspire to keep them apart. The high society of the Boston Brahmins welcomes her . . . while concealed malice abounds. With the intrusion of sinister forces and scorned women — and with passions ablaze — Reed and Charlotte find themselves in a very Improper Situation. Sequel to An Improper Situation – coming soon. Hi Elizabeth, I just wanted to say thank you for having me on your lovely website. Also, I want to update your readers that my latest book, An Irresistible Temptation, mentioned in the interview, is now published. I’d like to give an ebook to each and every person who comments today. These sounds wonderful! Gorgeous covers! Historical Romances are some of my favorites and I am looking forward to reading both AN IMPROPER SITUATION and an IRRESISTIBLE TEMPTATION. After reading your bio and how you surround/immerse yourself in your chosen character inspiration choices my expectations are high regarding how much I will enjoy these books. I am such a fan of historical romances and I’m glad to catch wind of another author who writes historical romances. As to your quirk of writing with your dog or cat under your desk, I completely agree that writing is better with a furry companion. Now, I’m just surprised the cat doesn’t jump on your desk or lap and demand attention while you are working. Actually, this particular cat (of my three) is 18 years old. She can sit anywhere she likes now, including the kitchen counter, but mostly she’s on her bed on the radiator (she’s no dummy) or on my lap at my desk (which gives me terrible posture).